When you need to move, call the best around. Our movers are professionally trained to move furniture and other items the right way. Not only will we wrap and pad your valuables, couches, appliances and more, we’ll also provide carpet shields at a small additional cost. 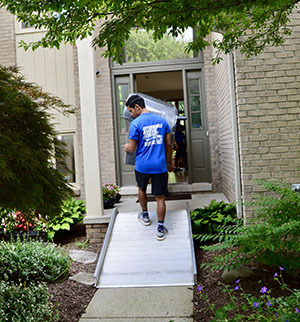 Serving the Metro Detroit area for more than 10 years, Affordable Moving Services LLC is your first choice in all kinds of moves, whether you’re buying your first house, upsizing, downsizing or moving your entire office. Backed by the experience you’ve been looking for, our office may be located in Rochester Hills, but we serve the entire Rochester area as well. 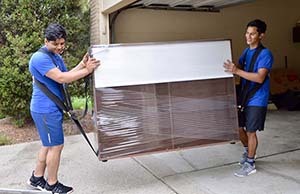 So, no matter where you’re moving to, whether next door or across the state, we understand moving can be a great source of stress and therefore can provide a cost-effective solution. Our team knows just how overwhelming moving can be. That’s why we go to great lengths to care for your furniture, electronics, and other belongings to ensure safe transport at all stages. With free quotes by a BBB Accredited Business like Affordable Moving, you’re making the wise choice in choosing us to handle your next move in Rochester. From residential moves to commercial relocations, Affordable Moving Services takes care of the logistics. Did you know we will even pack up your stuff and unpack it at the new digs if you don’t want to do it yourself? Lean on the professionals at Affordable Moving Services who consistently work hard to tackle the details so you can face your move stress-free. From a full-service commercial and residential move to just loading up your truck, you can feel good about hiring our small family owned business that brings you more than a decade of experience. We pride ourselves on offering our clients efficiency and affordability at the forefront throughout Rochester, a city nestled on the north side of the metro Detroit area in Oakland County. Home to 12,000 at last check, Rochester is one of our favorite places to work! When you book our team, we can send trained packers to your home who are happy to use quality packing and shipping materials. This will make sure all your belongings remain safe during all phases of the move. On your scheduled date, our movers arrive to safely and securely load your belongings. Moving locally? Chances are, we can move you within the same day. To learn how we can best serve you in Rochester, please contact us today at (248) 260-7026 or email us at affordablemovingservices@hotmail.com.